PT Bank Negara Indonesia (Persero) Tbk - BNI (IDX:BBNI) or referred to as "Bank BNI" is a a leading and reliable state-owned commercial bank in Indonesia, headquartered in Jakarta. The Bank has its business activities focused in personal banking, priority banking, business banking, international banking and treasury. It was formed in 1945 and is recognized as the first state-owned bank that was established after the independence of Indonesia. 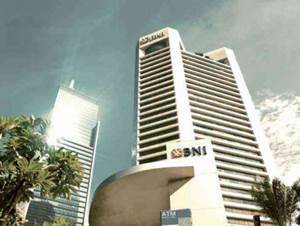 As a state-owned bank, the Bank is majority owned by the Government of Indonesia. At present, the Bank is 60% owned by the Government of Indonesia and 40% by public. As of December 2015, the Bank has 15 regional offices, 169 branch offices, 911 sub branch offices, 545 cash offices, 105 payment points, 81 mobile banking units, 1,826 outlets, 16,071 ATMs and 6 overseas offices located at Singapore, Hong Kong, Tokyo, Osaka, London, and New York. In term of financial performance, the Bank reached significant performance in the first half of 2016 (1H 2016, ended in 30 June 2016). the Bank reported total assets of Rp 539,140 billion in 1H 2016. This reflected an 25.1% increase from Rp 430,966 billion in 1H 2015. The Bank managed to record net profit of Rp 4,371 billion, an increase of 79.9% from the previous year of Rp 2,430 billion, according to PT Bank Negara Indonesia (Persero) Tbk Corporate Presentation 1H 2016 as cited by JobsCDC.com. Demonstrate Strong Leadership track record in organizations. Fluent in speaking, writing, and listening. Academic achievement : Champion in academic competitions (science/business project). UNPAD : Auditorium Graha Sanusi Kampus Unpad Dipati Ukur (13.00 - 17.00 WIB). Registration at http://bit.do/bni_unpad. IPB : Auditorium Abdul Hakim Nasution IPB Bogor Babakan, Dramaga Bogor 16680, 19 April 2017 (13.00 - 17.00 WIB). Registration at http://bit.do/bni_ipb. Universitas Indonesia : Auditorium FH UI, Jl Prof Mr Djokosoetono, Pd. Cina, Beji, Kota Depok, 16424 (13.00 - 17.00 WIB). Registration at http://bit.do/bni_ui. BINUS : Binus University, Anggrek Campus 27, Jl Kebon Jeruk Raya Kb Jeruk, DKI Jakarta 11530 (13.00 - 17.00 WIB). Registration at http://bit.do/bni_binus. JobsCDC.com now available on android device. Download now on Google Play here. Please be aware of recruitment fraud. The entire stage of this selection process is free of charge. PT Bank Negara Indonesia (Persero) Tbk - Rookie 46 Campus Roadshow BNI April 2017 will never ask for fees or upfront payments for any purposes during the recruitment process such as transportation and accommodation.